The civil rights movement had plenty of enemies. There was the KKK, which bombed black churches and harassed protesters. There were countless White Citizens Councils: groups of segregationists that secretly tracked the movements of civil rights leaders and worked to counter voter registration drives and school integration. But perhaps the movement’s most powerful enemy was the Federal Bureau of Investigation, which spied on, meddled with and targeted civil rights leaders for decades. 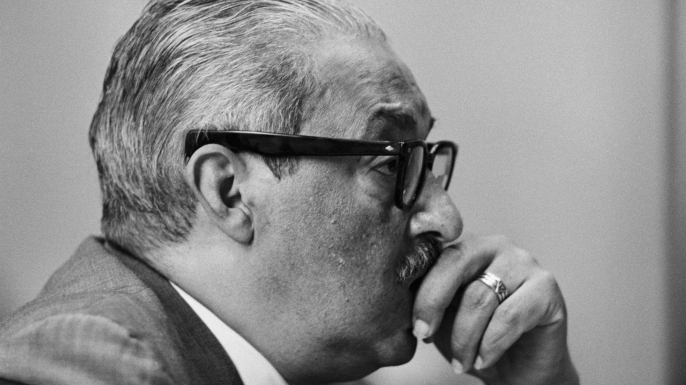 It might come as a surprise, then, that Thurgood Marshall—the first African-American justice of the United States Supreme Court and an outspoken advocate of civil rights—provided the FBI with information about the civil rights movement throughout the 1950s. Was Marshall an FBI snitch? When his secret relationship with the FBI was revealed by reporters after the justice’s death, it seemed like that might be the case. But the story of Marshall’s relationship with a group that terrorized the civil rights movement he so publicly supported is anything but simple. As a black man growing up in the American South under Jim Crow, Marshall was more than familiar with the discrimination that sparked the civil rights movement. The descendant of slaves, Marshall’s father worked at the Gibson Island Club in Maryland—a country club that prohibited African-American and Jewish members. In 1930, Marshall came face to face with institutional segregation when he was denied admission to the University of Maryland law school because of his race. That experience, and his determination that the Constitution be applied equally to all, informed his future career. He began to attack state-sponsored segregation as a young attorney, and developed close ties with the NAACP along the way. As a member of the group, Marshall founded its legal defense fund, acted as its chief legal counsel for a time, and regularly defended it in court. Those public actions caught the eye of the FBI. Marshall was a member of the National Lawyers Guild, a group that represented labor unions, civil rights groups and, during the Red Scare after World War II, a number of suspected Communists. Files from the era show that the bureau monitored the group closely, even wiretapping its members and asking for personal denouncements from their associates. Marshall was on the FBI’s radar because of his membership in the NLG. But he wondered if cooperating with the bureau might be a way to protect the NAACP from accusations of Communism. First, he got himself on the FBI’s radar by writing letters to the agency claiming that they weren’t doing enough to protect black Southerners. He even met with the bureau’s director, J. Edgar Hoover, after exchanging a series of heated letters criticizing the FBI. He’d been in the FBI’s sights before—but now Marshall was well aware he was being spied on. 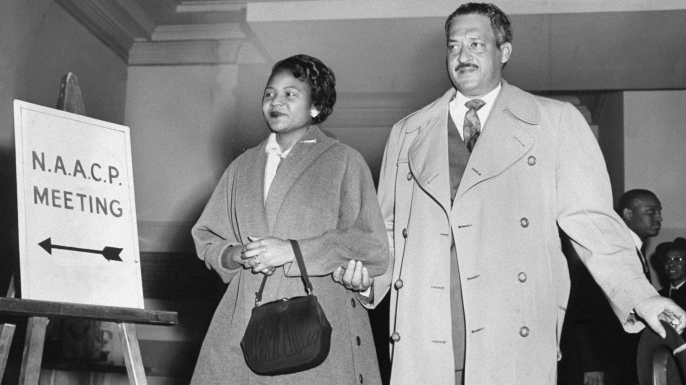 He tolerated that surveillance in exchange for the ability to potentially protect the NAACP. The civil rights lawyer, like the agency, was increasingly concerned that Communists might be infiltrating the NAACP. Marshall and other civil rights leaders knew that being associated with Communists at the height of the Red Scare would diminish the organization’s credibility and damage its reputation. The FBI, Marshall thought, might help shield the NAACP in exchange for information about Communists (and, perhaps, focus on other organizations instead). And so he began feeding select information to the bureau. “The NAACP’s interactions with the FBI were politically savvy,” writes historian David J. Garrow. Marshall repeatedly contacted the agent with secret reports about people like Robert Williams, a militant civil rights leader who encouraged the more mainstream movement to take up arms to gain African-American rights. He pointed fingers at suspected Communists. And he kept channels of communication with Hoover and his spies open. The FBI’s attacks on civil rights didn’t just focus on groups it considered extreme. Despite numerous tips that the Freedom Rides of 1961 would turn violent, the FBIdid not act, and it turned a blind eye to other attacks against Civil Rights leaders. Hoover even targeted Martin Luther King, Jr., hounding him, collecting salacious information they might use to eventually discredit him, and continuing their baseless investigations long after it was clear that he presented no threat. Ultimately, Marshall got something else from J. Edgar Hoover—support for his rising career. “He was convinced I was responsible for routing the commies out of the NAACP, and I did,” said Marshall in an interview. 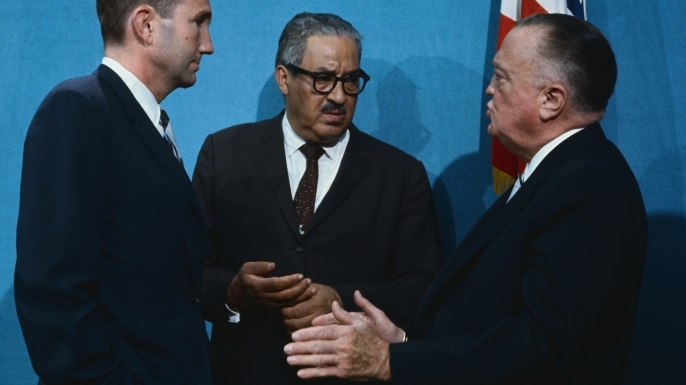 However, it’s uncertain exactly how much Hoover’s approval of Marshall helped him professionally, or how the civil rights movement might have fared without FBI interference. Given the FBI’s meddling in the fight for civil rights, it’s easy to interpret Marshall’s actions as those of a traitor interested in his own reputation over that of the movement. But when the full extent of his involvement with the FBI became clear in the 1990s, historians and friends came to his defense. It’s easy to forget the price a group could pay for being associated with the Communists during the Red Scare of the 1950s—social ostracism, imprisonment, the loss of tax-exempt status for organizations, and the loss of the ability to practice law for individuals. Though Marshall never spoke at length about his cooperation with the FBI during his lifetime, his letters and some brief interviews reveal that he thought he was helping the NAACP by protecting them from the FBI’s wrath. Marshall’s secret relationship with the FBI shows what was at stake as African-Americans tried to further civil rights—and the compromises some felt were necessary to fight for the cause.